Smart Grid is name for Off-Grid system controlled by intelligent data analysis, predictive models and real-time adjustments. They are one of the possible future options of power engineering with focus on energy supply decentralization at various scales from small configurations used in single house or cabin to the large systems operating on scale of small village or part of town. Power sources of this systems are predominantly renewable power sources which are lower and have stochastic nature. This leads to lower short-circuit power which is one of key characteristics of such system. Outcome of this is possible difficulties of sustainable power quality (PQ). In our, paper we present an analysis on the lowest possible level, where we examined impact of appliance towards response of PQ parameters in this case, total harmonic distortion of the voltage (THDV). From the results of analysis, we can say there are several types of appliances that affect THDV more and these appliances must be taken into account if we want to maintain certain level of THDV. 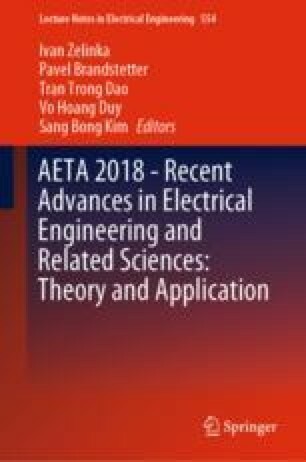 This paper was supported by the following projects: LO1404: Sustainable development of ENET Centre; CZ.1.05/2.1.00/19.0389 Development of the ENET Centre research infrastructure; SP2018/58 Students Grant Competition and TACR TH01020426, Czech Republic and the Project LTI17023 “Energy Research and Development Information Centre of the Czech Republic” funded by Ministry of Education, Youth and Sports of the Czech Republic, program INTER-EXCELLENCE, subprogram INTER-INFORM.